Welcome to Salvage Heaven, Inc., your number one source for all things recycled from homes and commercial buildings; doors, cabinets, lumber and many other used building materials. We’re dedicated to giving you the very best of our new and used building materials inventory. We focus on quality, price, customer service & uniqueness. Starting out in 1977 and founded in 1991 by Tim Hansen, Salvage Heaven, Inc., has come a long way from its beginnings in a garage in Milwaukee, WI. When Tim first started out his passion for keeping building materials out of landfills while helping his clients save money on disposal costs with a more eco-friendly business plan it drove him to action. While traveling around the U.S. and Canada to do intense research, quit his day job, that gave Tim the impetus to turn hard work and inspiration into to a booming salvage and recycling store. We now serve customers all over the US and the World. 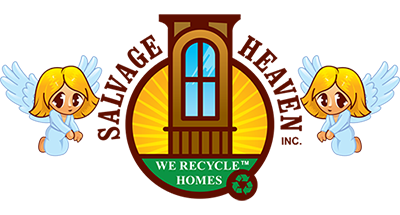 We are thrilled to be a part of the recycling community that provides a cash flow for our many customers when we purchase there used building materials as well as saving others money from their purchases at our stores. In this process, our goals and drive is to create family supporting wages and jobs, not volunteer labor, while being a part of a stakeholder in your community. As a son and a family member of the U.S. military and a supporter of our brothers and sisters in uniform, we will utilize and hire members who have served in the present and past military branches and their families members to help us run, manage, and direct our future in the recycling industry. We also ask that they consider becoming a team member to help our family business grow and become successful. All Rights Reserved © 2018 | Salvage Heaven, Inc.